Discussion of what wind is and does. Wind is moving air. Wind is measured by where it comes from. Wind comes from different directions and brings us different weather. We will make a wind vane to find out where the wind is coming from. Tape the washers/coins near to the point of the triangle without sticking over the sides (for weight). 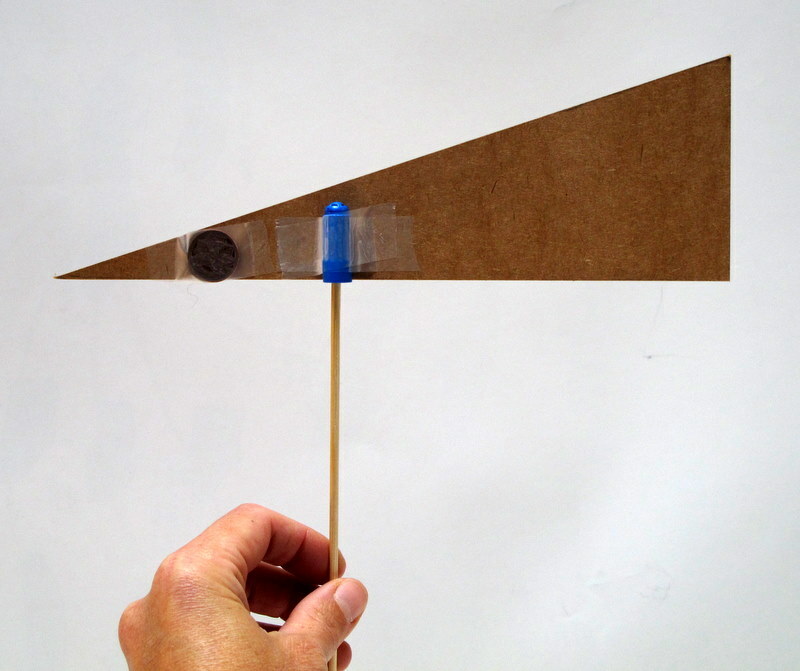 Balance the cardboard on your finger to find the balance point, then tape a tube over the balance point with the open end facing the outer edge of the cardboard. 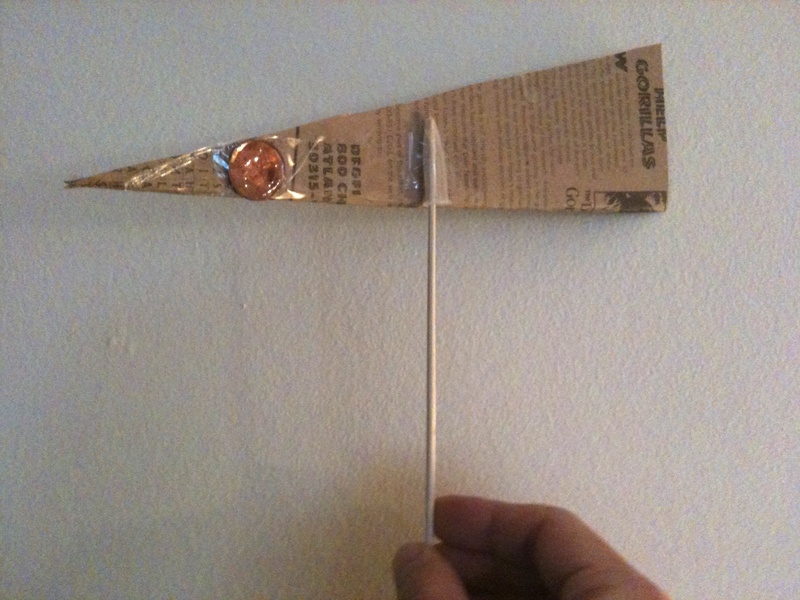 Put a skewer inside the tube and hold the wind vane up to catch the wind. The point of the triangle will face the way the wind is coming from. 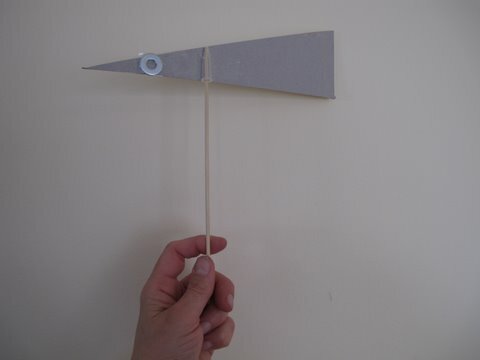 Take the wind vanes outside to find out which way the wind is coming from. (May need a compass to check for north). This is a simplified version of the wind vane on p.20 of the Weather Watcher book.